A South African online magazine, All4Women.co.za, has launched a petition calling on its government, through the Parliamentary Portfolio Committee on Telecommunications, to reject the calls being made by the country’s mobile operators to regulate Over the Top (OTT) Services like WhatsApp and Skype. Under the hashtag #SaveWhatsApp, the petition has already attracted support from over 11,000 signatories in four days, along with extensive coverage from some media publications. This petition comes after it was reported that South African Parliamentary Portfolio Committee on Telecommunications would be holding hearings on the 26th of January 2016 to discuss the regulation of OTT Services. These discussions were prompted by a request from the mobile operators that have been critical of the effect that these alternative means to voice communication have on their bottom lines. Through Instant Messaging platforms and VoIP services like WhatsApp, Skype, and Viber, mobile subscribers have moved away from traditional voice communication channels, preferring to use the internet based alternatives that offer a more economical option. The challenge is not limited to South Africa alone as telecoms operators around the world are faced with the reality of changing business models through internet based services. Zimbabwean telecoms operators as well as the local telecoms regulator, POTRAZ has also identified services like WhatsApp as some of the factors contributing to declining revenues. While the petition, as well as points raised by operators like Cell C that are against regulation, have created a strong debate around the fine line between accountable OTT services and every other online utility, the possibility of regulatory interference can’t be written off completely. In Morocco, the telecoms operators have reportedly gone as far as to block VoIP calls made over 3G and 4G connections, leaning on regulation that calls for VoIP services to be registered separately. That could be the same approach adopted by the South African government and every other country that bends to an influential telecoms lobby. In Zimbabwe, there hasn’t been any official call from the operators for regulatory intervention. However, with the OTT Services’ huge impression that has been noted on telecoms revenue and resultantly lower taxes from the operators, an outcome in favour of telecoms in South Africa plus a call from local operators could be the one-two punch that could set trigger the same actions locally. The era of rushing for protection and legislature by telcos is over. When Econet introduced ecocash , banks cried foul and they were told to innovate ot die. Now the mobile operators are now in the same situation. Well for some of use who use Whatspp using a PC use Bluestacks have nothing to worry about. Thanks for posting this link … opened my mind!! If internet providers continue improving broadband internet connectivity and more data speed i really predict that at one point Econet or Telecel will be history. I Imagine a seamless Skype experience on a $15 monthly uncapped broadband data plan……..its a possibility maybe in 2019 in a New Zimbabwe….pun intended! When the econet, telecel and company go broke and close shop coz of whatsapp, HOW THE HELL WILL WE CONNECT TO WHATSAPP? 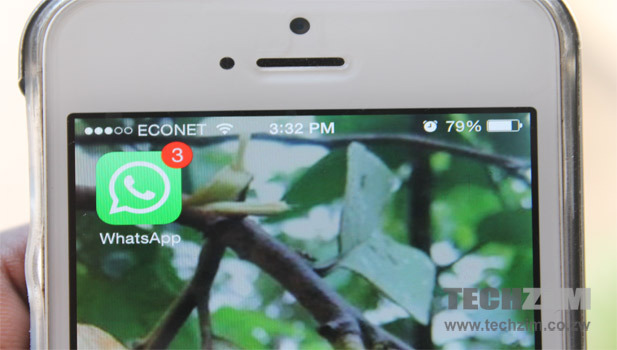 WhatsApp, fb, Google, Skype need econet and company more than the need them. Internet has gone mobile and they need Mobile operators! Only in Africa is where lack of innovation is protected by endless laws. Monitise the whole OTT services and gain traction. Hutchingson 3G network was all built from ground up on Voip, imagine if the gvt there banned voip because of few telco companies who would have pressed for voip banning to protect voice calls. Right now there is a lot of voip companies who rely on mobile telcos to offer cheap internation calls. This creates more jobs and stability in the economy. No telcos wont die just lose some revenue. After all its nt everywhere we have internet coverage. Plus its stupodity so let the telcos go back to 1999 and switch off the internet. Its like these guys TECHNOLOGICAL FATHER is DONALD TRUMP. Innovate of die what you did to banks is coming to bite you. And also isnt this the same argument used by fixed line providers against you who ended up improving their data networks adsl fth wimax to broaden revenue. No they done remember a few years back fixed line operators where crying foul aboyt the txt. They adapated and weathered the storm. Telcos are being silly since they miss charging 9c for a txt and hetting 8.5c profit and 20c per minute and getting 16c profit.